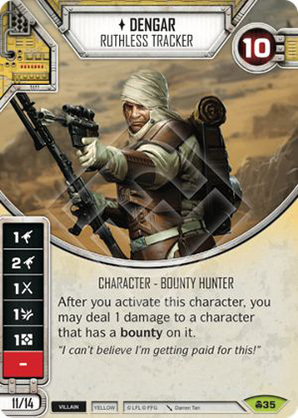 Character - Bounty Hunter. Points: 11/14. Health: 10.